The epic fantasy Ravine gets bigger in “Volume 2” as Stjepan Sejic delves into the background of one of his primary characters, one whose anti-hero past is both dark and surprisingly light. Not only does Sejic grow the scale in the story “proper” but his appendix entries makes one wish he had the chance to draw them in epic art instead of prose. Stein and Lynn join together in their journeys out of Palladia into the territory of the city-state of Wade during which Lynn comes to like the Wanderer, though Stein only tells his traveling companion half-truths about his life while avoiding the darker patches of his personal history. Meanwhile Lynn’s true past surprises and/or angers members of her former Dragoon squad who are sent to meet up in Wade. However Stein’s previous actions and his dark past have him being followed by the Captain of the King’s personal guard who along with a former rural guard-turned-travelling companion interact with someone close to Stein, how they are connected is easily guessed and later confirmed in the appendix tales. The end of the volume has Stein and Lynn facing off with a insane dragonrider terrorizing the trading routes in and around Wade and Palladia, the encounter makes the reader want to see more. Unfortunately for readers who love both Volumes of Ravine with Sejic’s magnificent art and great storytelling, Volume 2 did not sell well and thus Sejic had to put this series on hold after waiting 11 years to publish this story. If you enjoyed Ravine as much as I do then I encourage you to spread the news about how great Ravine is and get a following for it so Sejic can be able to publish more of this story in the future. The dark fate of Anakin Skywalker is realized in “William Shakespeare’s Tragedy of the Sith’s Revenge” by Ian Doescher. The final prequel film was witness to the end of love and the rise of empire with little hope at the end, of which Doescher brings out in fantastic Elizabethan language just as Shakespeare would of if he had written it. The journey of Anakin into Darth Vader alongside the downfall of the Jedi and the Republic to a Sith-led Empire is the central arc of the entire book. Doescher’s use of Shakespeare’s play-within-a-play theme as Palpatine’s vehicle to steer Anakin to the dark side is well done and another impressive choice the author has made throughout this adaptation series. The use of the character Rumour throughout the prequels pays off in this book as this character of Fate is given a departing soliloquy during Anakin and Obi-Wan’s epic duel in Act V. The duel itself is handled masterfully with asides from both characters and direct dialogue between them. Though unable to intertwine the various scenes post-duel, Doescher is able to construct a suitable sequence in which they occur rapidly one upon another to great effect. The “Tragedy of the Sith’s Revenge” lives up to is heartbreaking title, but just as the film it ends with a little glimmer of hope. Doescher hints that he might be adapting the upcoming sequel trilogy, if this is the last adaptation of the Star Wars films into Elizabethan theater then like he begun the series Doescher ends it on a high. 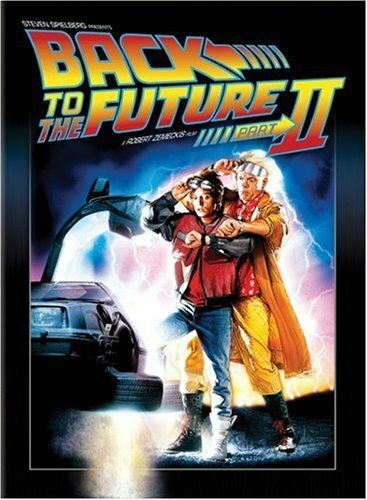 It took four years before audiences were able to see “Back to the Future Part II”, however it took me almost 20 years to fully appreciate how Bob Gale and Robert Zemeckis were able to return to the original film but seeing it in another angle while going to the future and an alternate universe all the result of time travel. The clamor of fans, as well as a bottom-line driven film studio, brought about sequel to the 1985 classic that began just where its predecessor left off with Marty, Doc, and Jennifer in the flying DeLorean headed to 2015. In the future, Marty must save his kids from ruining their lives but in exploring Hill Valley of 2015 he gets the attention of old Biff who realizes that Doc invented a time machine. Marty and Doc rescue Jennifer from the future McFly home during which old Biff steals the DeLorean and changes history, which Marty and Doc realize when they return to a dystopian 1985 Hill Valley. The duo travel back to 1955 to undo the damage old Biff had done. The electrifying ending sets up the trilogy’s final installment to perfection. When I first watched “Back to the Future Part II” in the early 90s, I only so-so liked it because unlike the original and the final films it was so dark. Even with the cool future predicted in the film with hoverboards and hover-converted cars, the dystopia 1985 and it’s shadow over the rest of the film was a downer for my middle school self. However now that I’ve grown up and have a better appreciation of narrative flow that Gale and Zemeckis created in this middle installment and reinforce the dangers of time travel. If you were like and felt that Part II was always the weakest of the trilogy, look again and appreciate what was accomplished in this film. The trials of middle school are front and center in Otis Frampton’s “Oddly Normal, Book 1”, but unlike other young adult reads the young protagonist just can’t find any luck in either our world or the realm of Fignation. As a fan of Otis’ artwork I’ve known about his relaunch of this series for a few years, but I wish I had grabbed this book earlier than I did. Oddly Normal, the non-magical daughter of a witch and a normal human, has green hair and pointy ears thus subjecting her to middle school hell. On her 10th birthday she wishes her parents would go away and strangely enough they do. Whisked away to her mother’s home realm of Fignation by her Great Aunt, Oddly enters a new school and finds herself back in middle school hell because instead of being a half-witch in the real world, she is a half-human in the imaginary world. And then she barely escapes an attack on her life. This young adult graphic novel is not another story in which an social outcast goes to a new school and becomes someone special, it’s a story in which a social outcast goes to a new school and is still a social outcast…if not worse. The artwork and story by Frampton are both excellent and will draw any young reader in because at some time in our younger days we felt like social outcasts, but it seems that poor Oddly has it worse and that makes the reader want to see her overcome things and discover what happened to her parents. If the ‘young adult’ tag puts you off personally from reading “Oddly Normal” then direct a middle school that you know towards this book and let them follow along as a green-haired, pointy-eared 10 year old tries to navigate not one, but two middle schools in which doesn’t fit. The Clone Wars begin in “William Shakespeare’s The Clone Army Attacketh” as Ian Doescher continued his adaptation of the Star Wars franchise for the Elizabethan theater. As with the film, the Doescher focus’ the play on the love story of Anakin and Padme as the sparks of war whip around them and ignite the galaxy aflame in conflict. Described as the Star Wars saga’s “romantic” film, the central story of Episode II was that of Anakin and Padme falling in love which Doescher focused much of his energy in establishing in “Attacketh”. Creating one big scene at the beginning of Act III, Doescher gathered influence from Shakespeare’s other romantic scenes especially “Romeo and Juliet” to adequately create this central love story to the stage. Throughout the rest of the book, Doescher continues his excellent adaptation of the Star Wars’ films in dialogue and stage management to seamless perfection for an audience in the last 16th-century. His inclusions of Rumor as a character helps transition the play in necessary intervals dictated due to the poor construction of the film this book was based on, which will not be discussed in this review. At the end of “The Clone Army Attacketh”, Doescher makes this adaptation more palatable than “Attack of the Clones” was on screen, which only makes the reader admire his work even more. The penultimate installment of the Star Wars saga is now something fans would enjoy watching. What is to be said that hasn’t already been said about “Back to the Future”, the 1985 time-travel classic that made Michael J. Fox a breakout film star, well not that much and so I’ll be brief with this review. Marty McFly, a skateboarding underachieving guitar-playing high school student, helps Emmett “Doc” Brown with an experiment in which Doc’s DeLorean travels in time. 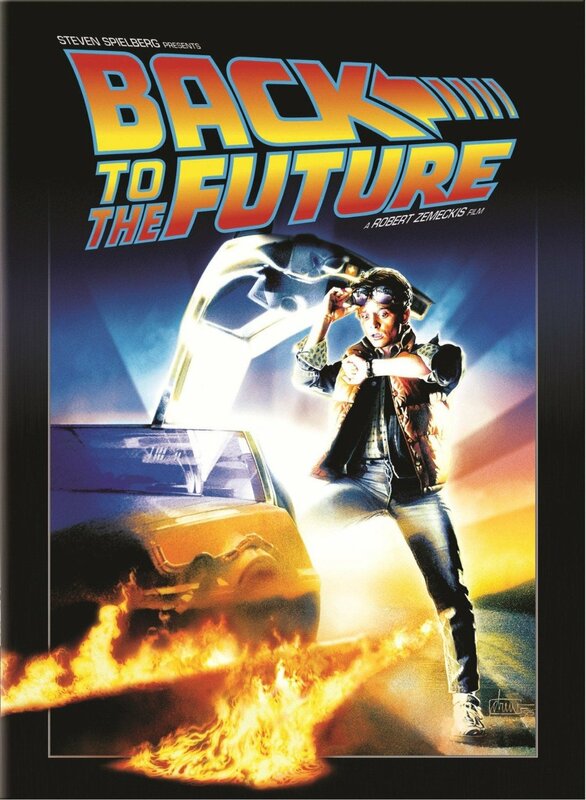 Before Doc can travel into the future, he is killed and as Marty drives for his life he travels back to 1955 and stops his parents from falling in love. As the 1955 Doc repairs the time machine, Marty races to get his parents to fall in love and prevent his erasure from history. Starting at the top with Michael J. Fox and Christopher Lloyd, the casting is perfect and created perfect chemistry that make the film a classic. The setting of 1955 Hill Valley, CA was created perfectly and only added to making the film fantastic. The writing of Bob Gale and the direction of Robert Zemeckis were superb in seeing their dream film come to the screen. Even though the film was released 30 years ago, it’s hasn’t aged and is still a great film to watch. I don’t know what more to say to make you watch it. I have been an admirer of the fantastic artwork of Stjepan Sejic for years and could not wait to get my hands on “Ravine” after seeing preview pieces on his DeviantArt account. The book’s is named after the continent on which this epic fantasy story takes place in numerous kingdoms amongst several different cultures and religious beliefs that influence the world in which the main characters find themselves and by the end of the book the reader finds out those two characters are not well thought of. Dragons, humans, and in-between half-blood species form the populace of the continent of Ravine separated into several kingdoms and tribes, however there are some individuals that are not bound by borders or laws—Wanderers. These individuals are the hands of Fate, bonded to their magical grimlas weapons and we follow two of them—Stein Phais and Lynn de Luctes. Stein begins “Ravine” as a notorious Wanderer while Lynn is a dragonrider-in-trainer and ends the book a newly bonded Wanderer. Between following these two individuals Sejic builds the world they inhabit especially the growing tension between the sectarian and religious powers in the continent’s grand Alliance, but Sejic also teases a look at the nefarious elements that are making those tensions worse because of their own plans. After around 140 pages of story, Sejic ends the book with almost 20 pages worth of worldbuilding material that further develops the background of the continent of Ravine and makes the reader interested in seeing what will happen in Volume 2. Characters, story, and art all make “Ravine” a must read for any epic fantasy comic readers and those who just enjoy epic fantasy in any medium. Stjepan Sejic’s 11 year development of his world results in a magnificent first installment.